As many as 153 million premature deaths linked to air pollution could be avoided worldwide this century if governments speed up their timetable for reducing fossil fuel emissions, a new Duke University-led study finds. The study is the first to project the number of lives that could be saved, city by city, in 154 of the world's largest urban areas if nations agree to reduce carbon emissions and limit global temperature rise to 1.5oC in the near future rather than postponing the biggest emissions cuts until later, as some governments have proposed. Premature deaths would drop in cities on every inhabited continent, the study shows, with the greatest gains in saved lives occurring in Asia and Africa. Kolkata and Delhi, India, lead the list of cities benefitting from accelerated emissions cuts with up to 4.4 million projected saved lives and up to 4 million projected saved lives, respectively. Thirteen other Asian or African cities could each avoid more than 1 million premature deaths and around 80 additional cities could each avoid at least 100,000 deaths. Nearly 50 urban areas on other continents could also see significant gains in numbers of saved lives, with six cities—Moscow, Mexico City, Sao Paolo, Los Angeles, Puebla and New York—each potentially avoiding between 320,000 and 120,000 premature deaths. The new projections underscore the grave shortcomings of taking the lowest-cost approach to emissions reductions, which permits emissions of carbon dioxide and associated air pollutants to remain higher in the short-term in hopes they can be offset by negative emissions in the far distant future, said Drew Shindell, Nicholas Professor of Earth Sciences at Duke's Nicholas School of the Environment. "The lowest-cost approach only looks at how much it will cost to transform the energy sector. It ignores the human cost of more than 150 million lost lives, or the fact that slashing emissions in the near term will reduce long-term climate risk and avoid the need to rely on future carbon dioxide removal," he said. "That's a very risky strategy, like buying something on credit and assuming you'll someday have a big enough income to pay it all back." Shindell conducted the new research with Greg Faluvegi of Columbia University's Center for Climate Systems Research and NASA's Goddard Institute for Space Studies; Karl Seltzer, a PhD student in earth and ocean sciences at Duke; and Cary Shindell, an undergraduate student in civil and environmental engineering at Duke. They published their peer-reviewed findings March 19 in the journal Nature Climate Change. Funding came from NASA's Goddard Institute for Space Studies. 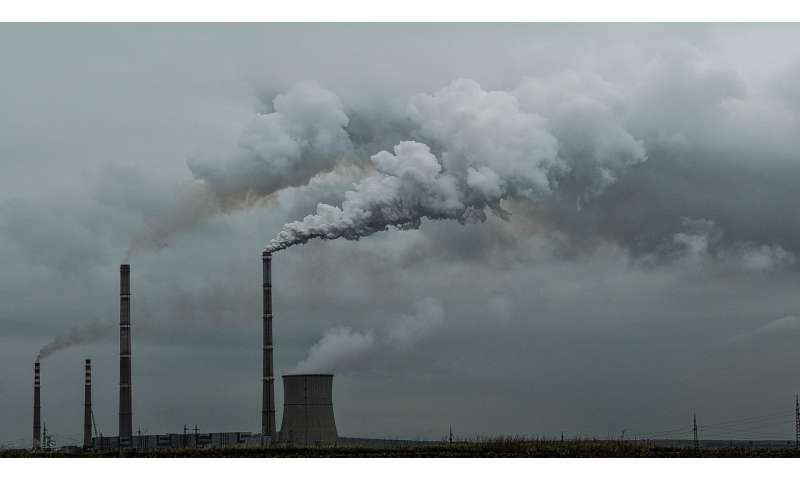 To conduct the study, they ran computer simulations of future emissions of carbon dioxide and associated pollutants such as ozone and particulate matter under three different scenarios. The first scenario simulated the effects of having accelerated reductions of carbon emissions and almost no negative emissions over the remainder of the 21st century. The second scenario simulated the effects of allowing slightly higher carbon emissions in the near term, but with still enough overall reductions to limit atmosphere warming to 2oC by century's end. The third scenario simulated the effects of an even more accelerated approach, in which near-term emissions are reduced to a level that would limit atmospheric warming to 1.5oC. The researchers then calculated the human health impacts of pollution exposure under each scenario all over the world—but focusing on results in major cities—using well-established epidemiological models based on decades of public health data on air-pollution related deaths. "Since air pollution is something we understand very well and have extensive historical data on, we can say with relatively high certainty how many people will die in a given city under each scenario," Shindell said. "Hopefully, this information will help policymakers and the public grasp the benefits of accelerating carbon reductions in the near term, in a way that really hits home."